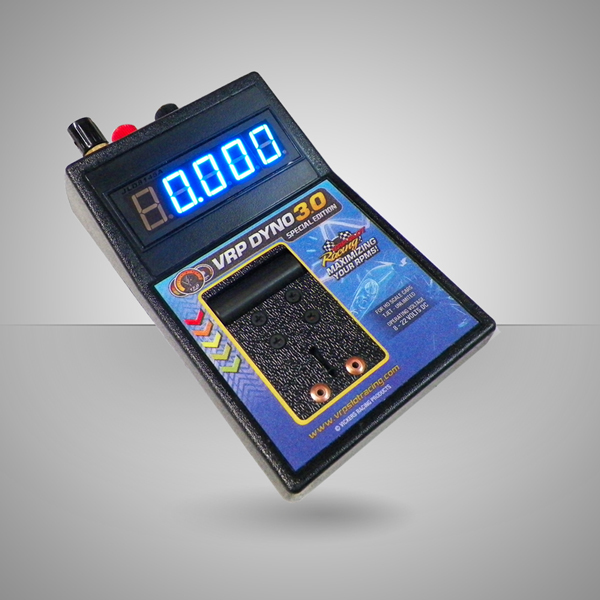 The dynamometer is able to test all HO type DC cars. 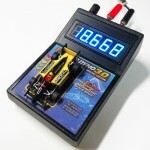 It measures the voltage generated by the internal motor that has been calibrated to create approximately the same amount of drag it takes to propel most HO cars down the track. The higher the meter reading the faster the car is going. 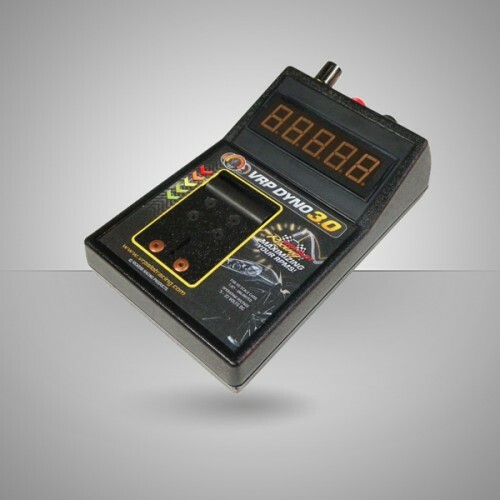 This Dyno 3.0 Special Edition comes with one additional feature that is not on the regular 3.0 black Dyno. This display is blue instead of red. 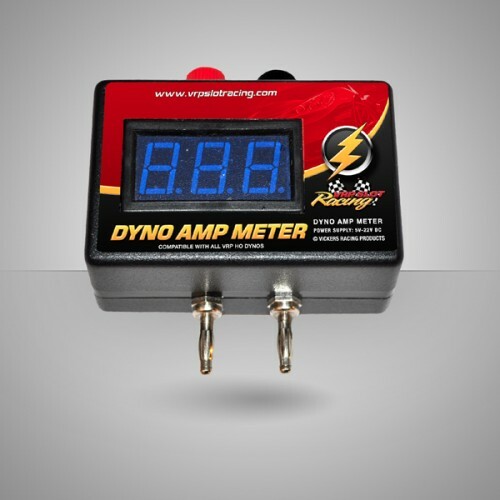 All the dynos operate between 8 to 22 volts DC. 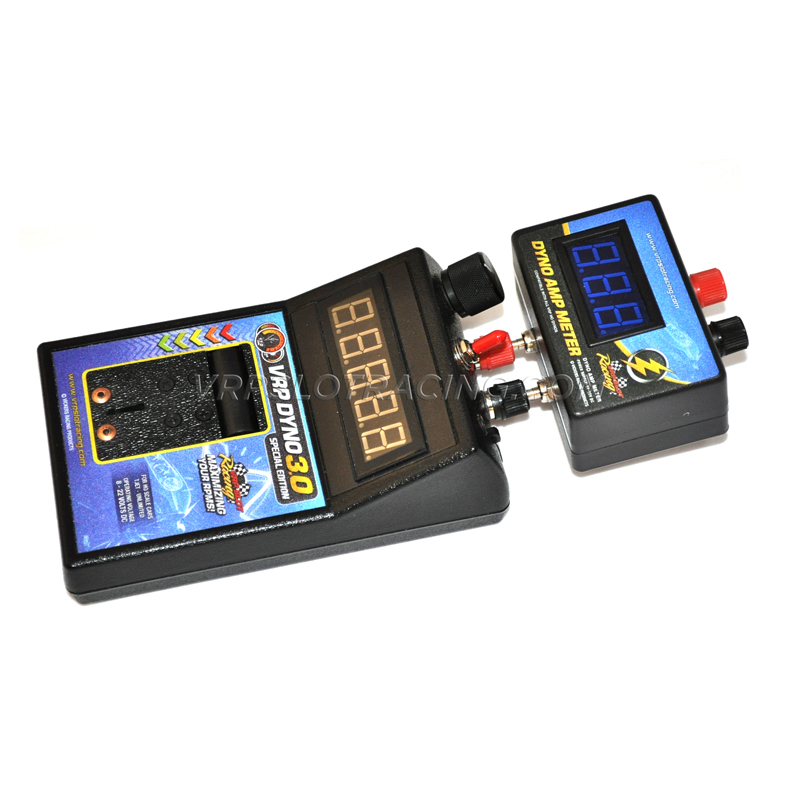 The switch at the rear of this dynamometer provides the option to switch between reading the incoming voltage or the speed of the car. Secondly the potentiometer at the rear gives you the ability to change the input voltage from approximately 5 volts to a maximum input voltage of 22 volts. 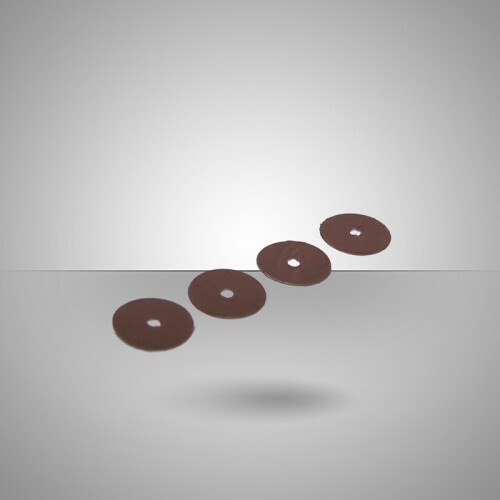 (Double click on images to the left). A 1 to 4 amp power supply should be adequate to run most HO cars on the dyno. 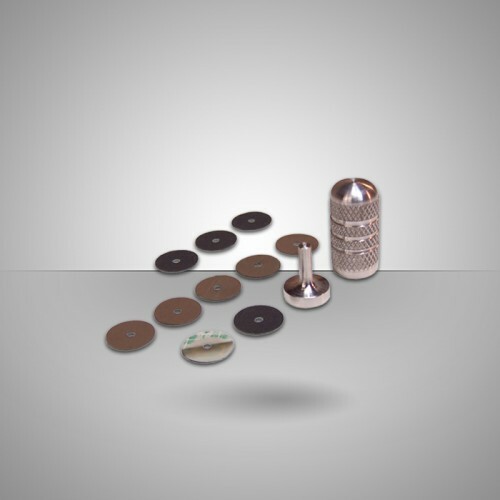 At low voltage settings below 7 volts, VRP recommends removing the idler gear on a T-Jet and the rear axle on the inline cars. Unlike the Dyno 2.0 the Positive + side of the power supply must be connected to the (Red) terminal of the Dyno, and the Negative – must be connected to the (Black) terminal. 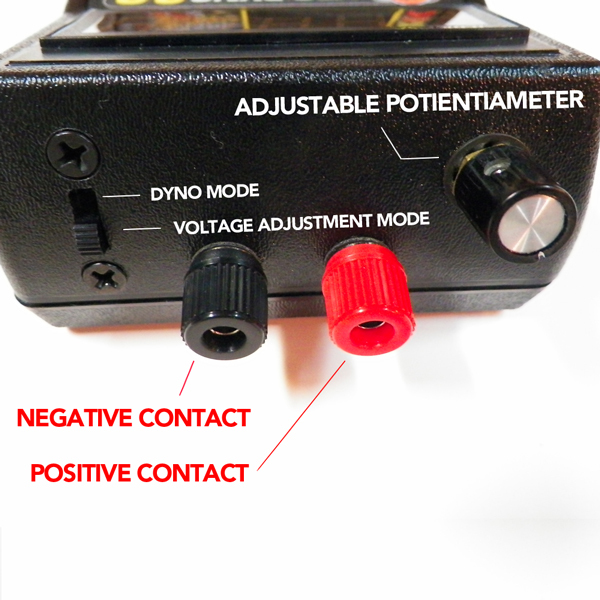 Reversing the DC power input leads will not damage the dynamometer; however the meter will not work.